Roman Dvoryankin about Virtus.pro new colors and jersey. "Our partnership with MegaFon is a crucial stepping stone for Virtus.pro and the entire Russian esports scene. As the level of a professional esports culture rises in Russia, an alliance with the country's leading telecom company further empowers the rapid development dynamics. I'm pleased to see MegaFon choosing us as the undisputed leaders of the region amidst the ever-increasing global integration in our industry. 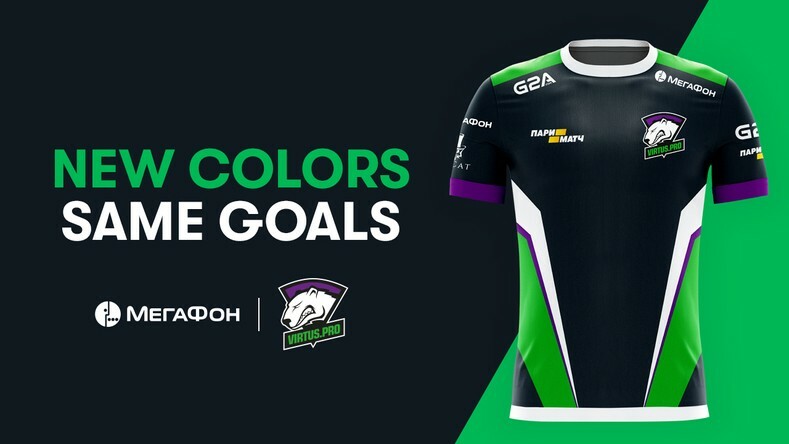 As part of our partnership starting from The International 2018 and until the end of the year all our line-ups will represent MegaFon brand colors. Our logo will change accordingly, as well. As early as November, in celebration of Virtus.pro 15th anniversary, we will reveal the changes to the team's image starting from 2019 onward".